providing aggressive, experienced & successful representation every step of the way. For more than 25 years, Pasadena criminal lawyer Matthew Cargal and the rest of our team at the Law Offices of Matthew Cargal has been helping people accused of DUI and other criminal offenses. 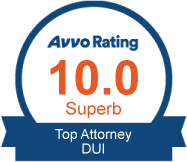 Our practice is focused exclusively on DUI and other criminal defense and we have successfully defended hundreds of cases. Successfully defending any criminal case is complicated and requires an attorney who is very experienced in that area. We do a thorough investigation of every case in order to determine your best defense. We are experts in finding alternative options should jail be an issue in your case. Our clients are kept updated about their case at all times and return all communication promptly. We do what it takes to get the best possible result, including motions and jury trial. Matthew Cargal — not a paralegal, assistant, or junior attorney — will handle your case and will be available to discuss your case with you at your request. Matthew Cargal has handled hundreds of cases in Pasadena, Los Angeles County and throughout southern California. This means he knows the court, judge and prosecutor that will be handling your case. Matthew Cargal has successfully represented hundreds of clients before the DMV and other government administrative agencies. Being arrested for a DUI or other criminal offense is traumatic and can result in serious consequences. However, being arrested does not mean that you must suffer the consequences of a conviction! With the right attorney on your side, you have a chance of getting the charges dismissed or reduced. Your best chance of a successful defense lies in your choice of attorneys. 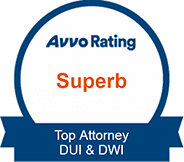 To ensure that you have the best possible outcome, you need an experienced, focused, and aggressive Pasadena criminal defense attorney with a proven track record of success. You need Matthew Cargal! Incredibly personable, dedicated and knowledgeable. He worked tirelessly to make sure we had the outcome we wanted, and made sure to make me feel safe and reassured along the way. It is important that you understand the level of influence that a conviction can cause, so that you can better comprehend the importance of working with a legal professional. A criminal conviction can stay on your record for years or sometimes permanently. Criminal conviction information is usually available to the public and will appear on most background or immigration checks. For more than 25 years, The Law Offices of Matthew Cargal have focused exclusively on defending the freedom of those charged with various crimes. Pasadena criminal defense attorney Matthew Cargal has successfully defended hundreds of cases in the past. We continue to fight to obtain the best possible results for each of our clients. If you or someone you know has been arrested, contact us immediately to discuss how we can help! Reduced to dry reckless Reduced to dry reckless. The consultation will be with Matthew Cargal and not an “associate attorney”, “legal assistant” or “paralegal”. We believe it is critical that you meet, interview and feel comfortable with the person who will be representing you! During the consultation, we will discuss all aspects of your case and answer any questions that you may have. In person appointments are available during the day, in the evening and on weekends. We look forward to hearing from you and discussing how we can help resolve this stressful issue for you. The success of your defense depends not only on who you choose to represent you, but also on what you do to protect your own rights.